Broker confidence in the New York City real estate market has been on a steady decline since 2014, according to a survey released on Monday by the Real Estate Board of New York (REBNY). 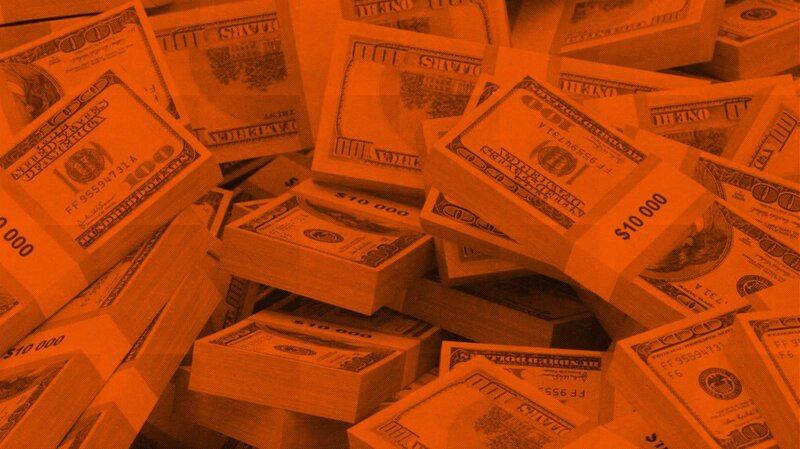 Brokers are reportedly concerned about future leasing and financing conditions in both the residential and commercial real estate markets, according to the survey. The REBNY Real Estate Broker Confidence Index for the first quarter of 2018 was 5.78 out of 10 possible points, down 1.21 from the fourth quarter of 2018. In the residential sector – where broker confidence decreased 1.03 to 5.54 – brokers reported specifically that their confidence in the positive effect of the Trump tax cuts is waning and that no-fee rentals are taking up a large portion of the market. “Tax changes have not had a noticeable effect on demand in the first three months of the year,” an unidentified broker said in the survey. Confidence in the commercial sector fell 1.39 points to 6.02 from the fourth quarter of 2017, however, the index is up 0.74 year-over-year from the first quarter of 2017. Part of that decline was due to concerns about the leasing and financing market, according to the survey. One unidentified broker specifically expressed uncertainty over how co-working spaces like We Work will impact the commercial real estate market. 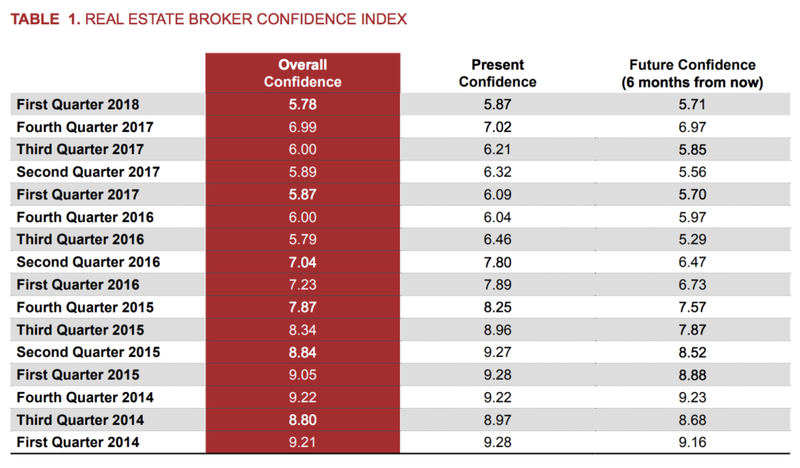 Overall, broker confidence has been on a steady decline since 2014, where it reached as high as 9.22.